Going through menopause is like going through puberty twice because your hormones seem to be revolting and turning against you when you get older. This process is inevitable when you reach a certain age, but happens with or without your consent as it seems. Should you dread menopause? Life doesn’t need to be difficult due to menopause. There is a way around it. You can age with elegance and fun combined especially if you get to sleep better. Sleep helps you gear up for the next day, keeps your energy levels up and in a positive mood – so its important to do what it takes to get the sleep you need. What is Menopause and How to Deal with it? Most women say they experience night sweats not just because they sleep hot but because it’s one of the negative effects of journeying towards menopause. Your hormones – estrogen (mainly), progesterone, testosterone, get berserk and their low levels can affect all body functions. These fluctuating levels of hormones can disturb your sleep and make you toss and turn all night long. Sleeping becomes difficult because most menopausal women experience hot flashes and night sweats which can disrupt and keep them from achieving deep sleep. Some have reportedly developed sleeping disorders such as insomnia because of erratic sleeping patterns and this can spoil your health in a lot of ways. Sleeping hot will definitely make you feel uncomfortable and keep you awake and sweaty all night. 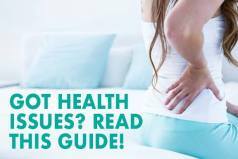 Overheating while trying to catch a good night sleep is an all too common scenario with menopausal women but you can do something about this predicament. Replacing your mattress may be a good idea at this point in time if you don’t have one made in the recent past. New advances in cooling technology can help reduce the impact of symptoms felt during menopause. Pretty much the most important feature when choosing a new mattress when experiencing menopause is making sure the mattress sleeps cool. You don’t want to compound the symptoms or hot flashes from menopause with a mattress that makes you wake up sweating or uncomfortable. 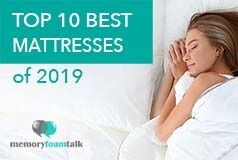 Choosing a mattress that sleeps cool and comfortable is vital if you are looking for the best mattress for menopause. Memory foam mattresses are great, but traditionally have caused heat retention and a sticky sweaty feeling at times. New advances in foam technology have made this not as bad as in the past, but you have to choose the right mattress. Latex is inherently cool and doesn’t retain heat, so latex or latex hybrid mattresses are a great choice. Hybrid innerspring coil mattresses that combine individually wrapped metal or latex coils with memory foam, latex foam, and other materials are also a great choice because coils have excellent airflow and breathability and thus make these mattresses sleep cool and comfortable. You only experience puberty once, and so as with menopause. It’s not a romantic affair but you can reduce its negative impact on your health and sleep by making a few lifestyle adjustments, even adding up or replacing a mattress. If you want to stop waking up irritable, moody, and groggy the next day due to lack of sleep, then it’s high time to invest in mattresses that are fit for those undergoing menopause. You can outsmart the perils of menopause by buying the best mattress suited for you at this stage of your life. 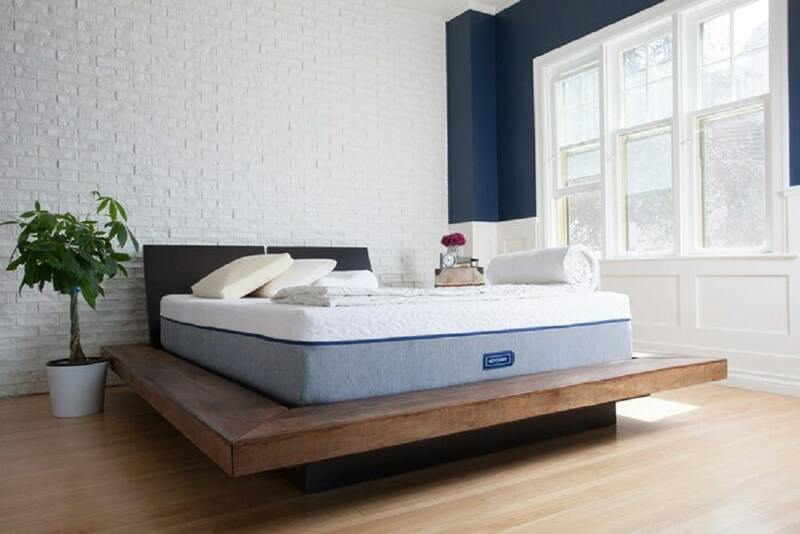 The Novosbed mattress is an 11″ mattress made up of 3 layers of dense foam with polyester, silica, modacrylic, and Tencel cover that has a very nice soft textured pattern that gives you a great feel through the covers. It also has a zippered top which enables you to add the Comfort + top kit that serves as an additional layer that can either increase or decrease the firmness level of the mattress. This layer combined with the foam layers beneath does a great job at providing both comfort necessary for side sleeping and enough firmness if you switch to your back or stomach. It is ideal for all sleeping positions and for the sleepers of different weights and is excellent in combating hot flashes and preventing you from sleeping hot. This mattress may initially feel a bit too firm and not as cushioned but after sleeping on it for an extended amount of time, your body will adapt to it and mold perfectly to the memory foam without causing you to feel trapped in foam. It allows you to quickly switch positions and provides great support, comfort, and cooling features, which is exactly what menopausal women need when catching some sleep. Get the full Novosbed mattress review. The Avocado Green mattress is a hybrid coil and latex mattress which provides excellent cooling in an organic and natural mattress, surpassing mattresses which cost much more for the same quality. This mattress is made up of pocketed coils which provide great airflow and cooling, along with Dunlop latex which is cool by nature. The Avocado utilizes springs and latex, both of which are superior materials for providing airflow and inherent coolness, along with an organic Joma wool cover which also wicks away heat. The Avocado is an excellent mattress for menopausal women, as it provides great comfort and cooling along with eco-friendly construction. The Avocado is a great mattress for those that are looking for an organic mattress that sleeps cool and provides an environmentally friendly choice, and one that will help you go to sleep and stay asleep. One of the best mattresses for menopause in our view for sure. The Zenhaven is a 100% latex mattress which offers excellent quality at a much lower price than comparable all latex mattresses. This mattress costs more than the other ones we recommend, but for the money provides value that is 3-4x cheaper than other similar all natural Talalay latex mattresses. One great feature is that it can be flipped over and firmness options changed from medium or firm. The mattress is made of all natural latex which is non-toxic, supportive, and highly recommended for those who want a cool sleeping mattress due to the 100% all natural latex construction and organic cotton and wool covering. The all natural latex in its construction provides the right contour and is responsive but also prevents motion transfer to avoid disturbing your partner by any unnecessary movements when asleep. Moreover, having two firmness options on each sides allow you to customize each side of the bed depending on your preferences or sleep needs in the same mattress. 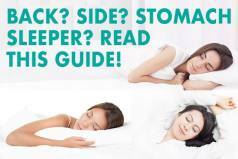 One of the best mattresses for menopause due to these reasons.